Release date: April 1st, 2019. This release ships with the much awaited “quick access” and “auto-fill” features. 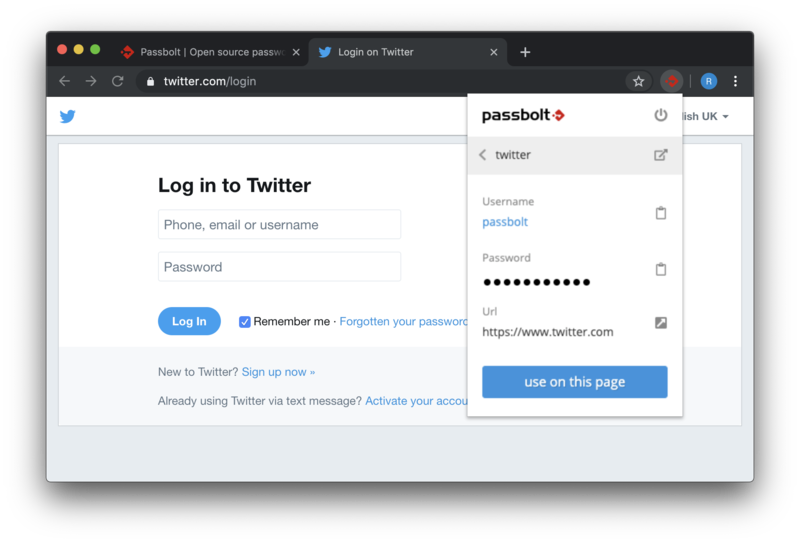 It is now possible to access your passwords directly from the browser extension, and have your forms auto-filled in a click. “Quick access” will keep evolving in the coming weeks with some improvements on the “auto-fill” part, or the possibility to add / edit a password directly from it. You will also be pleased to see that both Import and Export functionalities, previously Pro Edition exclusives, are now available in the Community Edition. All major password managers templates are supported, such as the Keepass or 1Password file format. Beware: after this update, the import and export functionality will be available to all the users (not only admins). To disable, follow the link below. This release also includes an upgrade to the latest cakephp version : 3.7, which means that passbolt is now compatible for most parts with PHP 7.3. We will keep supporting 7.0 until the next Debian stable release, but we invite you to switch to 7.2 as soon as possible. Finally the Passbolt OpenAPI specification is also available. You can find the API specifications in a swagger compatible format on this new repository. It will be updated soon with a more detailed documentation, including code examples, to ease the learning curve. "They'll turn away no more"